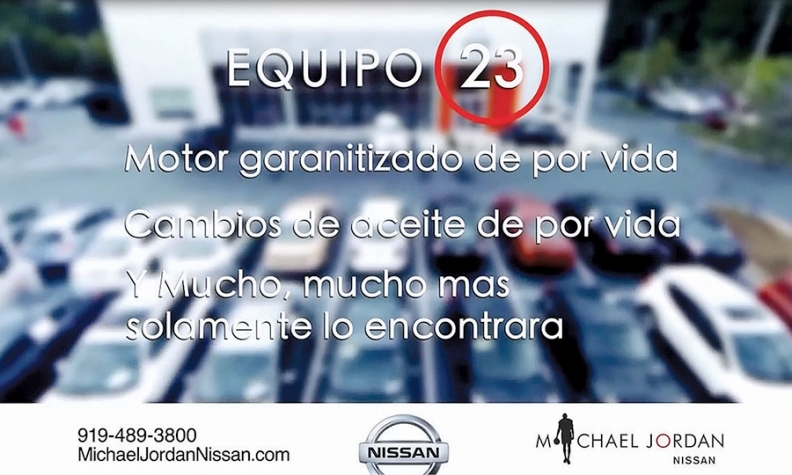 Michael Jordan Nissan in Durham, N.C., advertises in Spanish. Growth in the Hispanic population led the dealership to create a Hispanic business department. 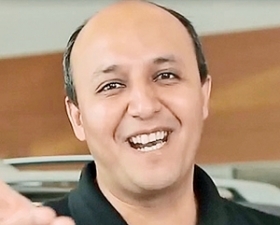 Marcelo Barahona, manager of Hispanic-market sales at Michael Jordan Nissan in Durham, N.C., recognized the grandfatherly customer who came into the showroom on a recent April morning. He was a repeat customer who had bought his most recent car just last year. "What's wrong, my friend?" Barahona asked the customer. Barahona: Dealership buys back cars from those who leave U.S. Nothing was wrong, the customer told him. But it was time for him to sell the new car back to the dealership. Part of Michael Jordan's outreach as it solicits Spanish-speaking consumers in central North Carolina is to assure them that the store will buy back their vehicle within two years, at market value, if they need to leave the United States. "I'm going home," the older customer happily informed Barahona. "I've completed my mission here. It's time to go back." Barahona explains: Some Hispanic residents in the area ventured to the United States years ago to make more money, raise a family and give their children the option of growing up in America. The older customer that day explained that his children were now grown and would stay in North Carolina but that his house back in Latin America was paid off. He had earned enough money to go home with a retirement fund. "We were happy to buy his car back," Barahona says. "One of the big issues of winning Latino customers is to earn their trust and also being flexible. "The Spanish-speaking family needs a car just as much as the next customer. But their situation might be different. They might have three people in the same household who are going to pay for the car together. You might have to work with different circumstances." Barahona, a native Venezuelan and bilingual, had worked as a salesman at Michael Jordan and left to work elsewhere. Trey Reeves, the store's sales manager, decided last year that there was a viable market for Hispanic sales in Durham. The population had risen fast and dramatically. In 1990, there were just 76,727 Hispanic people living in North Carolina. Today, there are nearly 850,000, according to U.S. census data. There are 37,000 in Durham alone, a city of 245,475 people. Reeves recruited Barahona to return and create an entire Hispanic business department, including finance employees who translate and explain all loan documents in Spanish. Four dealership employees now deliver about 30 of the 200 or so new and used vehicles that Michael Jordan sells each month. "That's plus business for us," Reeves says. "And there is more business out there." Reeves adds: "I've been selling cars around here since 1989. You're always aware of change going on around you, and I knew the Hispanic population was growing. But we commissioned a marketing study to see just how much business might be out there. I would never have guessed it was as high as it was."